Find out more about Arts Project Australia. We produce a range of online materials that we are happy to share. Arts Project Australia’s strategies and aims include enhancing opportunities for artist development and artistic programs, building and improving our organisation’s capabilities, developing our reputation and increasing public recognition, maintaining effective governance and planning, and growing and diversifying our income to ensure we’re heading in a sustainable direction. 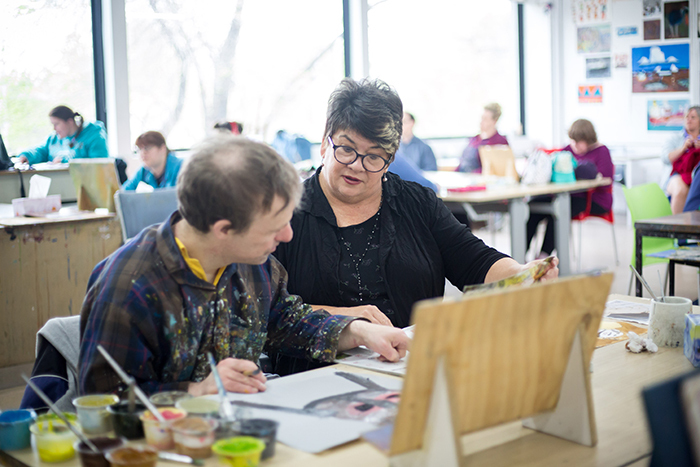 Over the years the incredible Board of Arts Project Australia have developed a range of goals, strategies and outcomes, giving the organisation clear direction and ensuring that we’re responding appropriately to new and changing external influences. Have a look at our annual reports to see what we’ve achieved and where we’re going next.